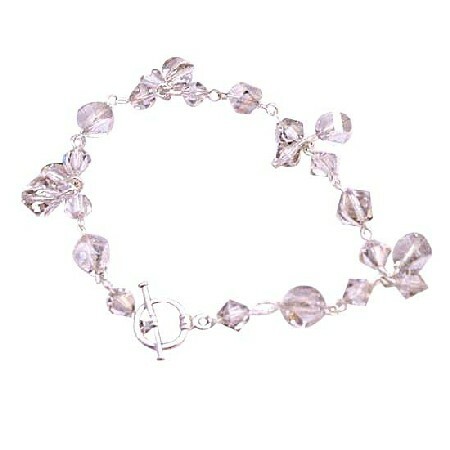 Handmade Exquisite Bracelet All A Grade & Material are used to make this beautiful & Wedding Bracelet Different Shape & Size of Silver Shade Crsytals & 8mm Helix Crystal Beads (item# 5020) with Toggle Clasp. Silver Shade Crystal. Handmade Classic Bridal Bracelet theme of love with Crystal from Austrian The pictures speak for themselve. it look beautifull for any women to wear & look sophisticated.